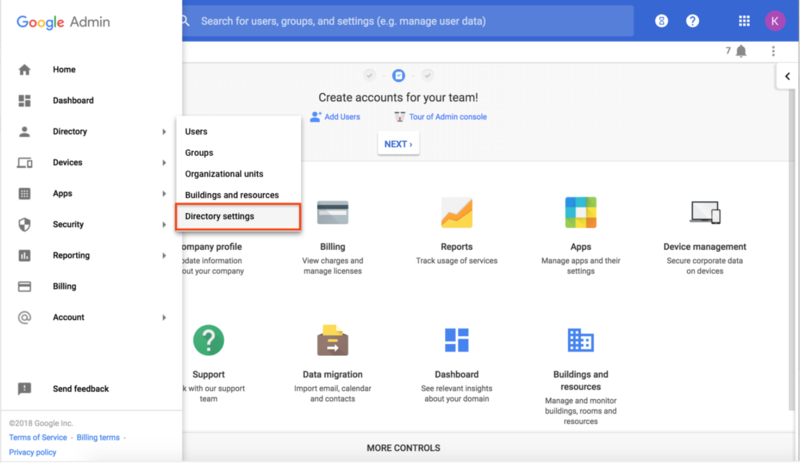 We’re changing where you’d find the Directory settings in the G Suite Admin console from the apps screen to the Directory section of the main menu. You can use Directory settings to control your organization's global Directory and how your users can use Contacts. This includes what version of Google Contacts your users can use, how your users can edit their profiles in the global Directory, configuration of custom internal directories, and more. Admins: Now you can find the setting at Admin console > Menu > Directory > Directory Settings. Use our Help Center to see more about how to manage Directory settings in your organization or create custom directories.